It was a fruitful and fun 4D3N trip at Cameron Highlands. 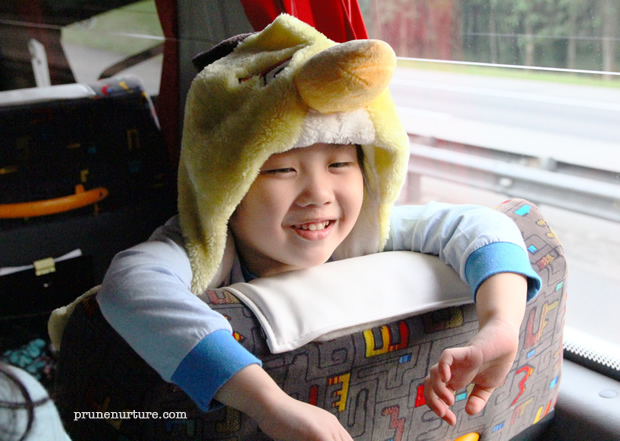 Though it was not my first visit there, I had many new experiences travelling with the children. 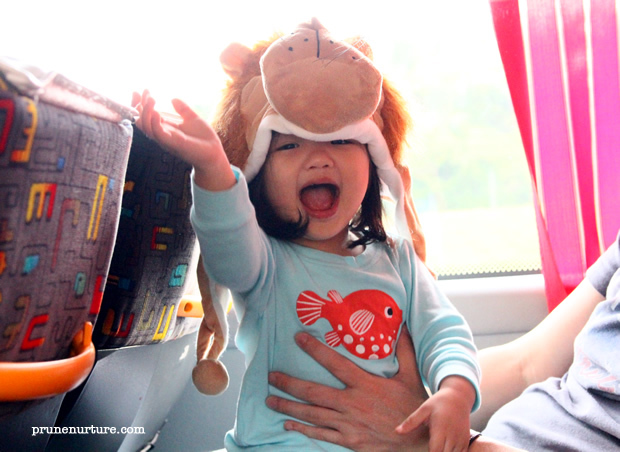 We had fun visiting the Market Square at Kea farm, Sungei Palas BOH tea plantation, the mossy forest, Butterfly Garden,agrofarm tour and the must-visit Time Tunnel museum. Thank God for his protection throughout the trip. All our children were well throughout the trip. 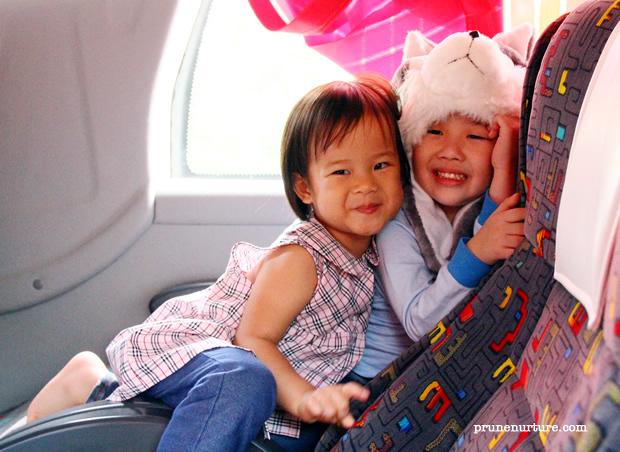 They coped very well during the long journey back to Singapore on the coach too. 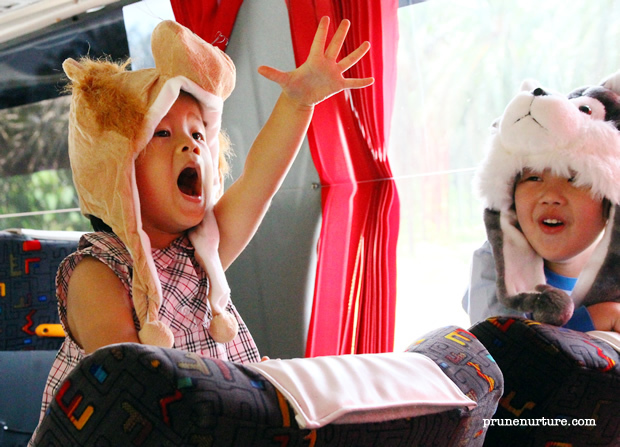 During the journey, parents took turns to play with the children. The children also entertained themselves by transforming into a wolf, a lion and an angry bird. They also swopped roles after a while. Dot said she wanted to take picture with her little fox. She said she was the owner of this little fox, inspired by The Fox and the Child she watched a few weeks back. At the end of the day, these were what the children liked about their trip (video).